Invisalign is a breakthrough orthodontic treatment that has changed the lives of millions of patients around the world. 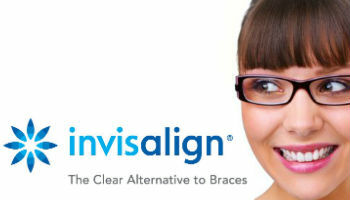 Invisalign is a brand name that was coined from the word “invisible” and “align” because it aligns the teeth invisibly. The entire process of straightening the teeth is designed to go with one’s lifestyle, wherein the patient can smile confidently while in treatment, eat comfortably, and socialize without being self-conscious about the braces on the teeth. Invisalign is simply an amazing teeth aligner, offering you a teeth-straightening solution that has been proven to be effective and more improved than traditional orthodontia. Invisalign in Maryville, TN is available at the dental practice of talented, skilled dentist, Dr. Kim C. Norman. Dr. Norman will provide the patient with a series of aligners that will be used, in sequence, to straighten the teeth effectively. The doctor will give instruction in placement and the length of time each aligner in the series must be worn. Typically, the first aligner is worn for two weeks. The patient will then need to wear the next aligner in the series for a given amount of time as instructed by the doctor. The treatment is complete when all the aligners have been used. The number of aligners a patient needs to wear depends on the severity of misalignment. Invisalign is a system that precisely and gradually straightens the teeth. Each aligner is different from the other, measured according to the movement plan designed by the doctor. It is, therefore, essential that the patient strictly follows the treatment plan and wear each aligner as instructed. Patients are recommended to wear an aligner for at least 20 hours each day for best results. Proper care and maintenance of the aligners is an absolute must. Patients must refrain from eating with their aligners in so particles of food won’t get stuck and damage the aligners. Patients are also advised to remove the aligners prior to brushing and flossing. This way, the teeth can be brushed thoroughly, and oral hygiene is well-maintained during the course of treatment. • Invisalign users are able to smile confidently while in treatment because the aligners are completely transparent. You can, therefore, smile, speak, and socialize, without being self-conscious of the braces in your mouth. This makes Invisalign perfect for movie stars, Hollywood celebrities, and individuals with careers where a professional image is important. • The aligners are so much more comfortable to use than traditional metal braces because they’re made of smooth plastic with rounded edges. • You can remove your aligners before meals, brushing, and flossing, as well as when you’re attending special occasions. • Invisalign does not require frequent visits to the dentist because the series of aligners has been pre-designed to align the teeth in sequence. You will be putting on and removing your aligners independently every day. Only once-a-month visits to the dentist are needed to monitor your progress. • Invisalign has straightened the teeth of millions of patients; it has been tested and proven to be very effective. Our practice invites you to come and visit us today for Invisalign in Maryville, TN. Experience the benefits of comfort and convenience while you straighten the teeth invisibly. Call us now at (865) 982-9662 and partner with us to having straight teeth for life!